The location for Brain Stimulation in EpCS targets electrical stimulation to the anterior frontal poles and the lateral prefrontal cortex. Two different places on both hemispheres, resulting in four separate paddle leads which are connected to two small generators surgically implanted in the upper chest area of the patient. The leads are placed through a burr hole in the skull but above the dura mater and thus remain separated from the underlying cortical region by the arachnoid space. 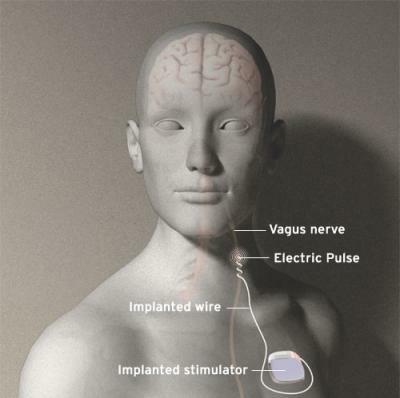 ECS is more direct than transcranial magnetic stimulation (TMS) and or vagus nerve stimulation (VNS) and potentially safer than deep brain stimulation (DBS), which involves passing the electrodes through brain tissue. Of five patients three reached remission. Overall after seven months, the average improvement was 54.9 percent based on the Hamilton Rating Scare for Depression. 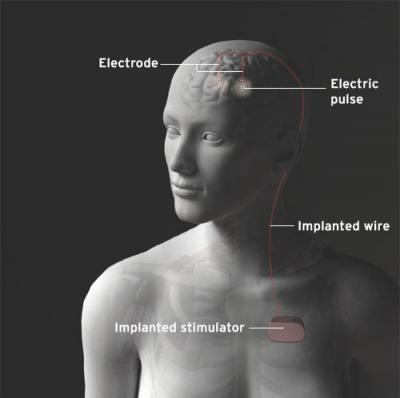 Deep Brain Stimulation is a neuro-surgical procedure used in mostly neurological and psychiatric disorders. 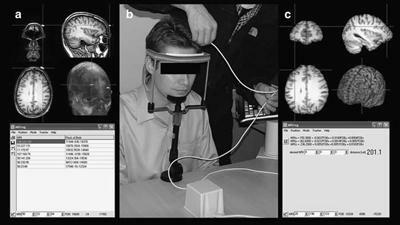 In this procedure electrodes are placed in the brain, not on the brain. A great step forward, patients don’t have to be awake during the procedure. 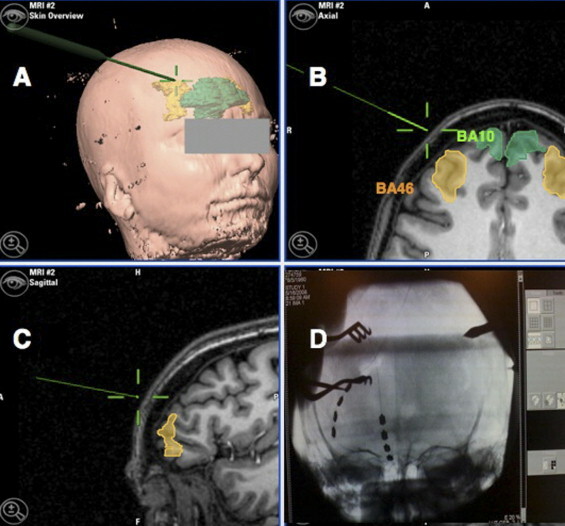 This post has a video showing a clear description of the old and new procedure for deep brain stimulation (DBS). 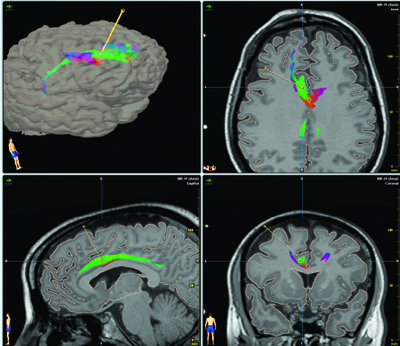 Deep Brain Stimulation (DBS) is mostly used for Parkinson’s Disease. DBS for Obsessive Compulsive Disorder and Depression is just starting to be used. It is unclear how DBS works for Parkinson’s Disease. It is used for treatment resistant depression. 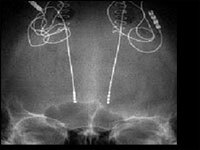 When other treatments fail, deep-brain stimulation (DBS) may offer hope to patients suffering from chronic and severe depression. 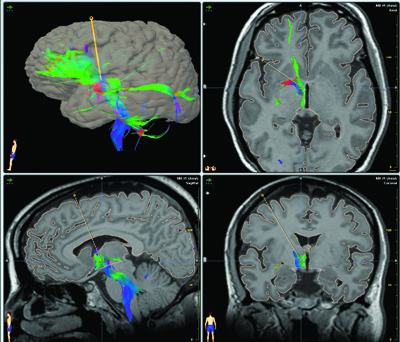 In recent published research about deep brain stimulation for treatment resistant depression, six months after surgery, 60% of patients were responders and 35% met criteria for remission, benefits that were largely maintained at 12 months. The most appropriate target, optimal stimulation parameters, and long-term effects and efficacy remain uncertain. 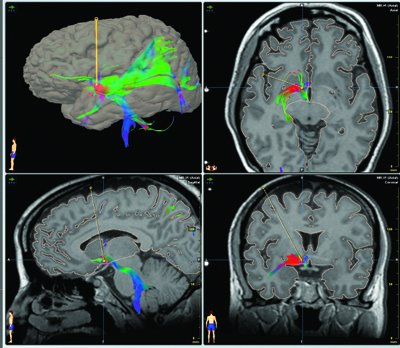 The targets for deep brain stimulation in treatment resistant depression has 6 options available. Efficacy of rTMS for treatment resistant depression isn’t impressive to say the least. The results of studies show little clinical relevance of the efficacy compared to sham rTMS, many studies have reported limited effect sizes or response rates. is targeted over the Dorsolateral Prefrontal Cortex (DLPFC). The localization is done with “the 5 cm measure”, this involves the localization of the motor cortical site for optimal stimulation of a hand muscle, usually the abductor pollicis brevis, and then measurement 5 cm anteriorly along the scalp surface. This traditional method for targeting the DLPFC with rTMS may be suboptimal, potentially explaining the modest therapeutic effects of rTMS. In this study the neuro-navigational method was used. This method generally involves localization of the scalp position that corresponds to a brain site identified on an MRI scan from an individual subject. we conducted a randomized double blind trial comparing left prefrontal rTMS localized either using the 5 cm method or a navigational technique. We hypothesized that the targeted rTMS would result in a greater therapeutic efficacy in major depressive disorder (MDD) compared with the ‘5 cm’ method. 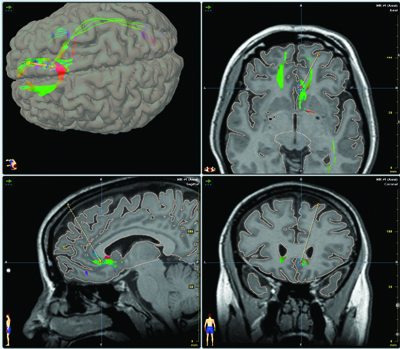 We utilized an ‘offline’ navigational technique to localize the site of DLPFC in the experimental group and compared this with the 5 cm localization method. increasing dose, and the use of a neuro-navigationally guided rTMS based on pretreatment positron emission tomography (PET) scans did not improve efficacy. The miniBIRD is quite inexpensive and the MRIreg and MRIcro software available as freeware. These are also relatively easy to use with training. From this research it is hard to tell whether rTMS is efficacious for TRD since the results may have been confounded by non-specific effects given that we have not included a sham control group. I hope this method might improve efficacy, what do you think? Light can have amazing effects and contrasts of light and dark. 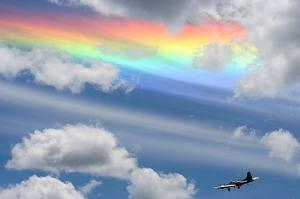 They can create beautiful effects or phenomena. This picture above is from a blog with 20 Most Incredible Light Phenomenas for your viewing pleasure. But light can also be used in depression. Bright light therapy is an excellent candidate for inclusion into the therapeutic inventory available for the treatment of nonseasonal depression today, as adjuvant therapy to antidepressant medication. This was the result of a recent systematic review. To me light therapy for nonseasonal depression was new, which inspired the recent post on this blog about this topic. Light therapy can also be an augmentation strategy for treatment resistant depression. Light therapy is mostly known for it’s primary use in seasonal affective disorder.In this post it is explained what a seasonal affective disorder is according to DSM IV criteria and it also has links to 8 articles on seasonal affective disorder. Chronotherapeutics are controlled exposures to environmental stimuli that act on biological rythms in order to achieve therapeutic effects in psychiatric conditions.I was especialy interested in the implementation on psychiatric wards. Psychiatrists are usually not aware of the influence of simple measures such as light and exercise on mood and mood disorders. Six years ago we implemented running therapy on our unit for depressed inpatients. It is still a valuable form of therapy to our patients. We should consider using light as a therapeutic. Follow this link about Chronotherapeutics and it’s use in psychiatry for more information.